This Step-By-Step Guide is meant to demonstrate the main features of Evidentia and show you how to get to the target deliverables, the Research Summary Report and the Genealogy Proof Report. Select the Identify a Source tab from the main menu bar. Select + New Source to add a new source. Enter a title for the source. This will be used in the source list on the left, as well as some reports. Select a source classification from the Classification drop-down list. To use a source citation template, click the Template button. 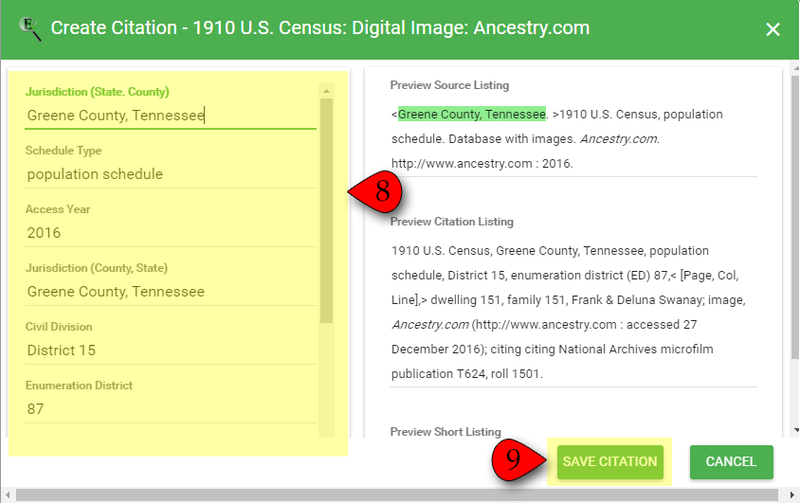 Select the desired citation template from the list. Single-click the Select button to populate the citation template screen. 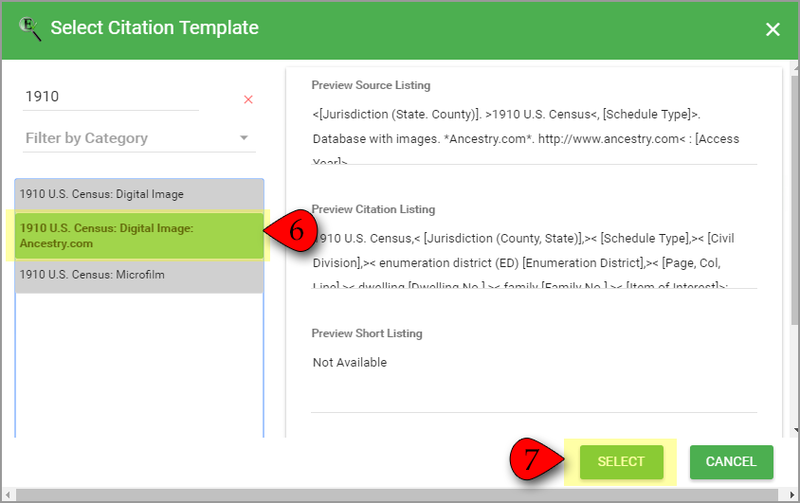 Double-clicking the selection will have the same results; however, the two-step process (single-click, then select) allows you to review and edit the template in the boxes on the right if you wish. 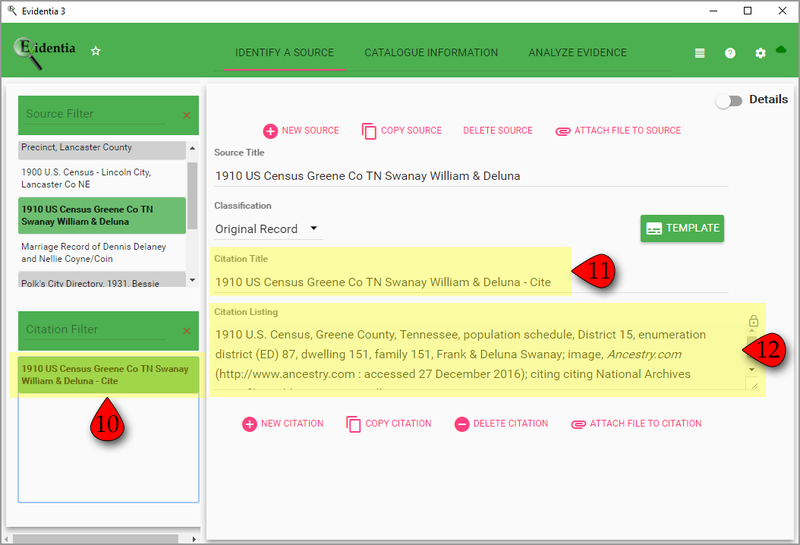 Populate ALL the data fields to get a complete and proper citation. 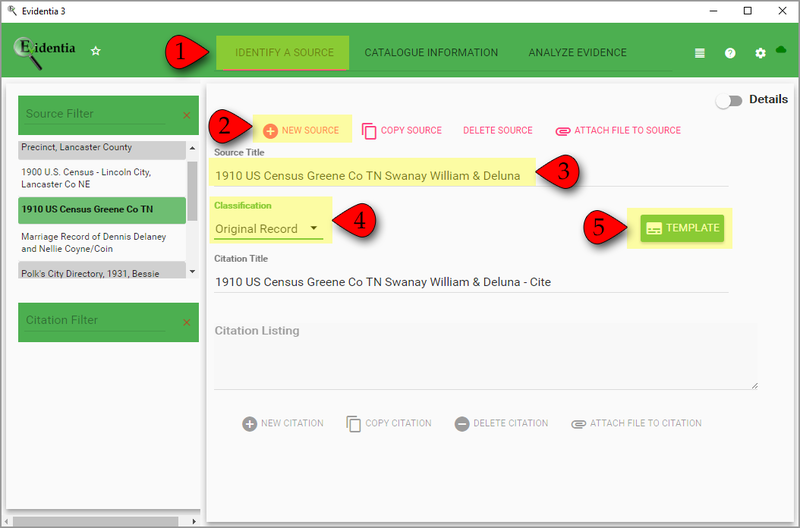 Click the Done button to populate both the source and citation listings on the main Evidentia screen. Single-click your citation from the menu on the left. Verify your Citation Listing. Edits can be made directly in the edit box. Task One, Identify the Source, is now complete!